A partnership between a University of Texas at Arlington industrial engineering team and Foxconn, a global electronics manufacturer giant and primary supplier for iPhones, will reduce fraudulent replacement claims for iPhone repairs at its Fort Worth facility. The team also will use automation and data-driven smart manufacturing solutions to allow the company to increase its output. Shouyi Wang, an assistant professor in UTA’s Industrial, Manufacturing and Systems Engineering Department, is leading the team, which collaborates with Foxconn’s cell phone manufacturing division to develop solutions for improving efficiency in large-scale cell phone manufacturing processes. 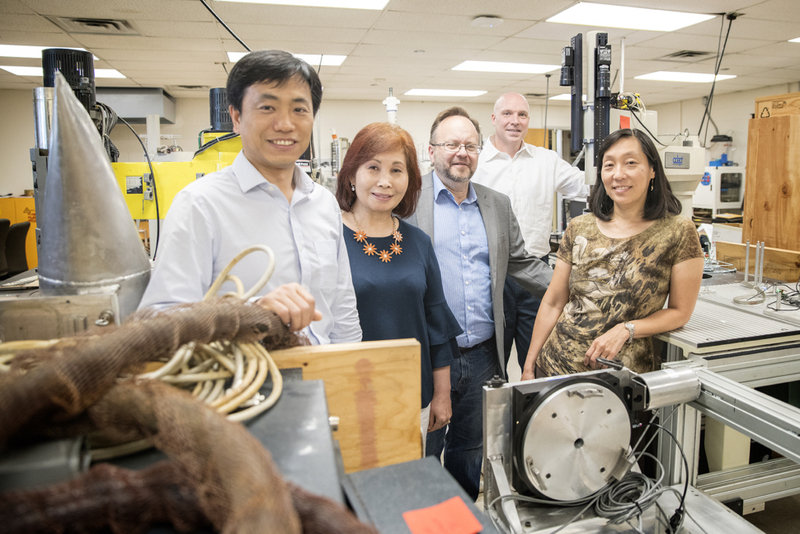 The team includes Wang’s IMSE colleagues Paul Componation, Victoria Chen, Jay Rosenberger and Aera Leboulluec. 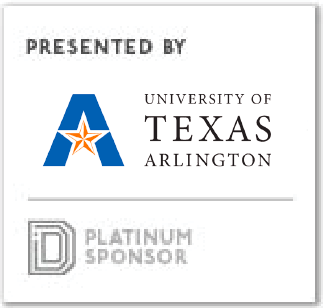 As a result of the team’s work, Foxconn signed a sponsored research agreement through the IMSE Department in March 2017, and later on signed a membership agreement with UTA’s Center for Assistive Technologies to Enhance Human Performance, or iPerform Center, in June 2017 to formalize its partnership with the University and expand UTA research to the next generation manufacturing industry in the United States. The original objective was to help Foxconn develop an automated way to check returned iPhones for fake parts or other tampering that would indicate fraud. The company wanted to use artificial intelligence and machine learning to replicate human decision-making in comparing natural damage with human-caused damage, thus reducing the number of humans needed to inspect the phones and increasing the speed and accuracy of detecting fraud. Foxconn would like computers at its repair factory to compare an image of a genuine iPhone to a returned phone or measure the phone’s physical characteristics, such as weight, to identify fake components. Wang’s process also enabled the company to track where phones were returned from and see that many of the fraudulent phones came from multiple main locations worldwide, which raised red flags for future inspections from those locations. “Apple has a very generous service and replacement policy, and people have built businesses on intentionally damaging or replacing parts within iPhones, then returning them for new ones right before the warranty period ends. This is very costly to Apple,” Wang said. After successfully addressing the fraud issue, the UTA and Foxconn engineering team also initiated another collborative project to develop highly reliable automatic screwdriving stations along the assembly line to reduce costs, ensure consistency in quality and enable computer-based inspections. Robots are better suited to consistently performing repetitive tasks such as screwdriving because they do not get tired or lose focus on their tasks. However, they cannot adjust their torque rate by feel like humans can, so the failure rate on their work is high. Using an Atlas-Copco screwdriver that is capable of providing high-precision torque feedback at an accuracy of 0.005 newton-metre (N⋅m). Wang and his colleagues worked with a Foxconn subsidiary to develop a data analytics software platform that would give real-time feedback signals about torque rate and angle and allow the machine to “feel” the screwdriving process and make necessary adjustments as humans. To do so, Wang said they visualized data on graphs that gave a detailed depiction of how the torque should look at each part of the screwdriving process, then identified baseline graphical patterns for successfully driven screws to compare against signal patterns with screws that were driven at a bad angle, cross-threaded, stripped or had other failures. Once the baseline patterns were created, the UTA team developed a realtime decision-making software package to allow a computer to quickly and accurately inspect the screwdriving process and give a “good” or “no good” indication. In tests where a human and a machine inspected repaired phones, the machine did better at identifying risky screws that human visual inspections didn’t catch. Automation is important to bringing manufacturing back to the United States, Wang said. “If we can make robot actions to automate screwdriving it will be a big thing for the manufacturing industry. Foxconn is investing billions of dollars in a factory to build LCD displays for high-definition televisions in Wisconsin, and they are also trying to significantly expand their operations in Fort Worth. They have already benefitted greatly from the optimization processes that we initiated, and automation will allow them to expand their capabilities faster, benefitting the company and the local economy,” Wang said. The international collaboration and partnership with Foxconn is an example of UTA’s agility in the marketplace and how data-driven discovery, one of the themes of the University’s Strategic Plan 2020: Bold Solutions | Global Impact, can transform the manufacturing industry. “Dr. Wang and the industrial enfineering team’s work with Foxconn is important because it has solidified the University’s relationship with a key industry member in the region. As technology makes automation more available and less costly, companies such as Foxconn will continue to ramp up their U.S.-based manufacturing capabilities. This will lead to economic growth, high-paying jobs and greater innovation,” said Peter Crouch, dean of UTA’s College of Engineering.